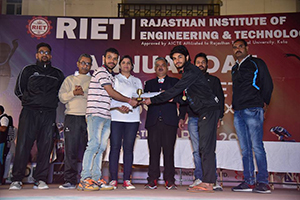 The valediction ceremony of Esports 2019 was held on 13.3.19. 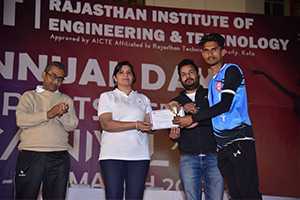 Various sports activities were held on 12th and 13th March and the winners of all the events congregated for the prize distribution. 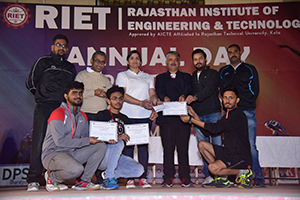 The event was enhanced by Principal RIET Dr. Saroj Hiranwal and the Dean of Academics Professor Kapil Dev Sharma, vice principal RIET, Dr Sachin Sharma, T&P Advisor, Prof D D Johari. 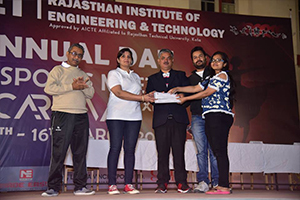 Speaking about the event, Chief Proctor RIET Mr Mukesh choudhury, HOD, IT, Mr Dinesh Swami, Asst Prof CSE, and Sports Officer Mr Uday Choudhary said that all the winners were awarded with their prizes. 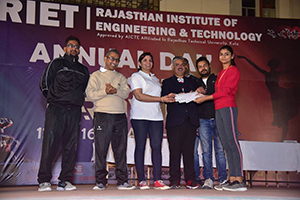 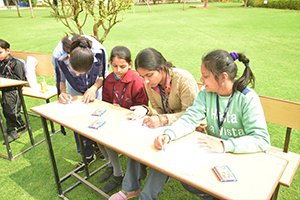 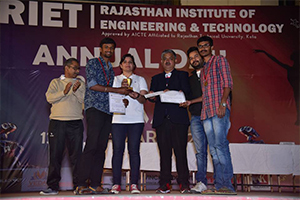 Students from various colleges had participated in these events. 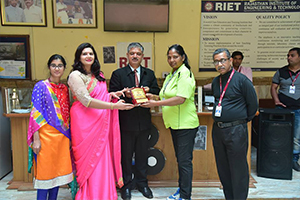 Principal RIET Dr Saroj Hiranwal, gave away the prizes and encouraged the students on this occasion. 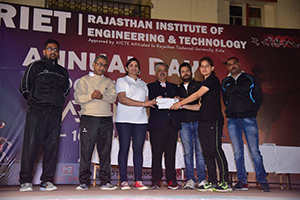 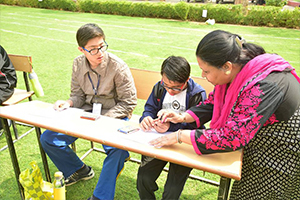 She exhilarated and praised the participants and said that it was a pleasure to witness such sports activities in the college campus. 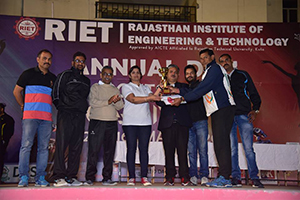 Dr Saroj Hiranwal, Principal RIET spoke on this occasion that Sports activities are essential for achieving the true education. 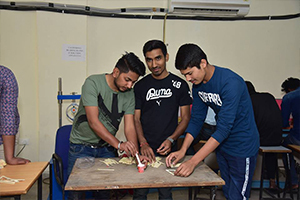 Mahatma Gandhi, the Father of the Nation, was of the opinion that true education meant harmonious development of three organs of man via; body, mind and soul, if anyone of these is neglected then certainly the purpose of Education is forfeited. 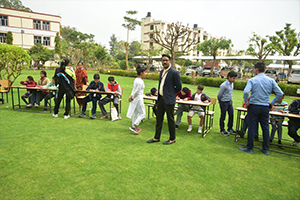 The two days were full of excitement and enthusiasm. 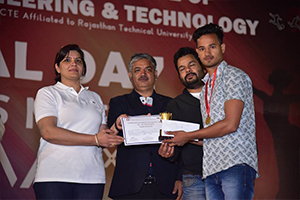 Several old records were broken and some new records were created. 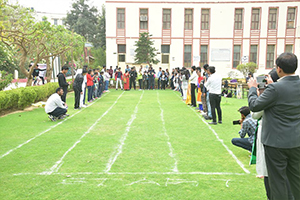 Then the function came to a close, with the spectators and participants cheering in great enthusiasm. 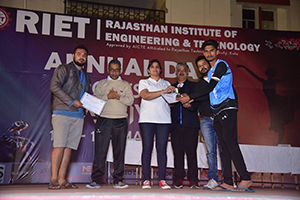 The prize distribution took place in the end and the games were adjourned with the national anthem.